Eat Neon SignThank you for the damn new Casino Neon Sign.I was bored watching old sign outside my casino..but this Neon Sign has made me look over it again and again. 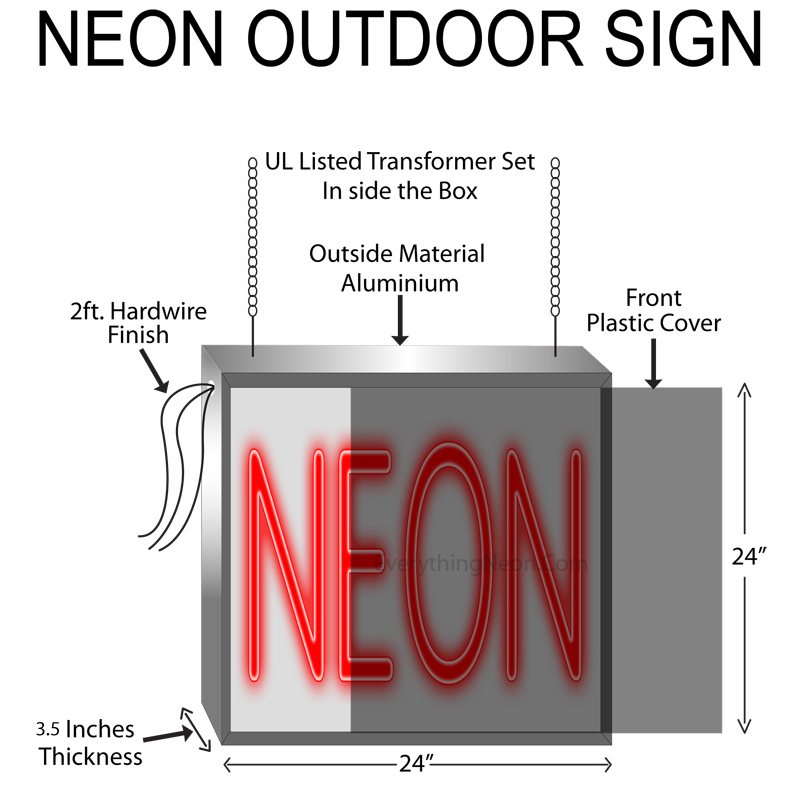 Eat Neon Sign 24" Tall x 24" Wide x 3" Deep , is 100% Handcrafted with Real Glass Tube Neon Sign. !!! Made in USA !!! Colors on the sign are Red and Blue. Eat Neon Sign is high impact, eye catching, real glass tube neon sign. This characteristic glow can attract customers like nothing else, virtually burning your identity into the minds of potential and future customers. 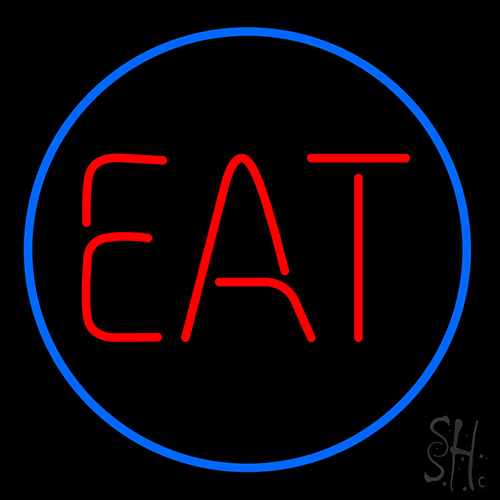 Eat Neon Sign can be left on 24 hours a day, seven days a week, 365 days a year...for decades. There is no light form in existence that has the visual impact of neon. Eat Neon Sign is made by an experienced neon glass bender. 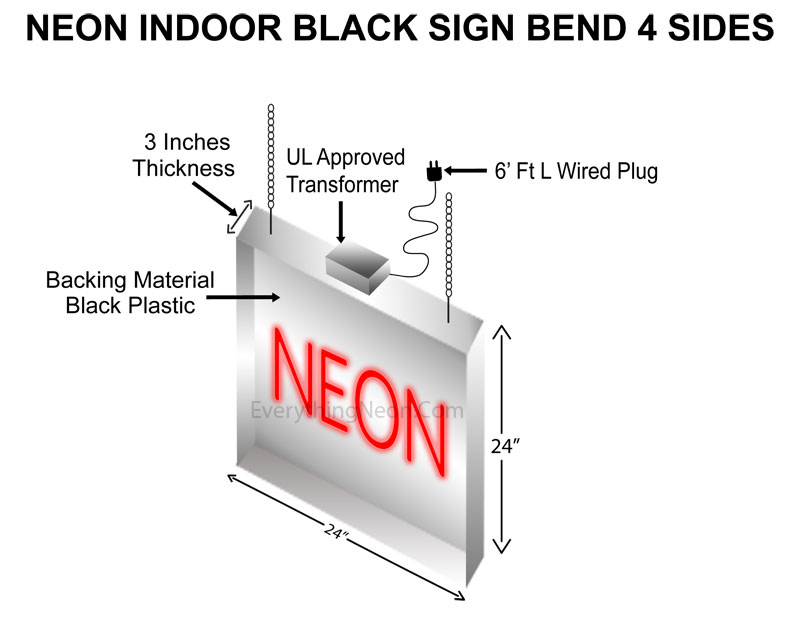 Eat Neon Sign is bended 4 sides with Plastic Cover material.